The more time I lingered around the "red city", the mutual discourse between the East and the West unleashed itself in a fascinating bloom. I fell for Marrakech and my affection grew by day. The solar-powered airport was new too. The first time I came to Marrakech I thought that it confused centuries. At dawn of the second millennium the souks in the old medina showed no trace of technology, multinational fashion brands, Western fast-food chains and the production of anything that was not at least locally assembled. The walled kasbah also clearly adhered to ancient domestic customs. It was Ramadan, and while the stomachs rambled empty, the local faces looked hungry. An outsider feels awkward at least, but your respect for the Moroccan culture and religion yields an unparalleled insight into the locals life. Like Easter for christians, Ramadan is a festive time that is celebrated through the special customs of muslims. 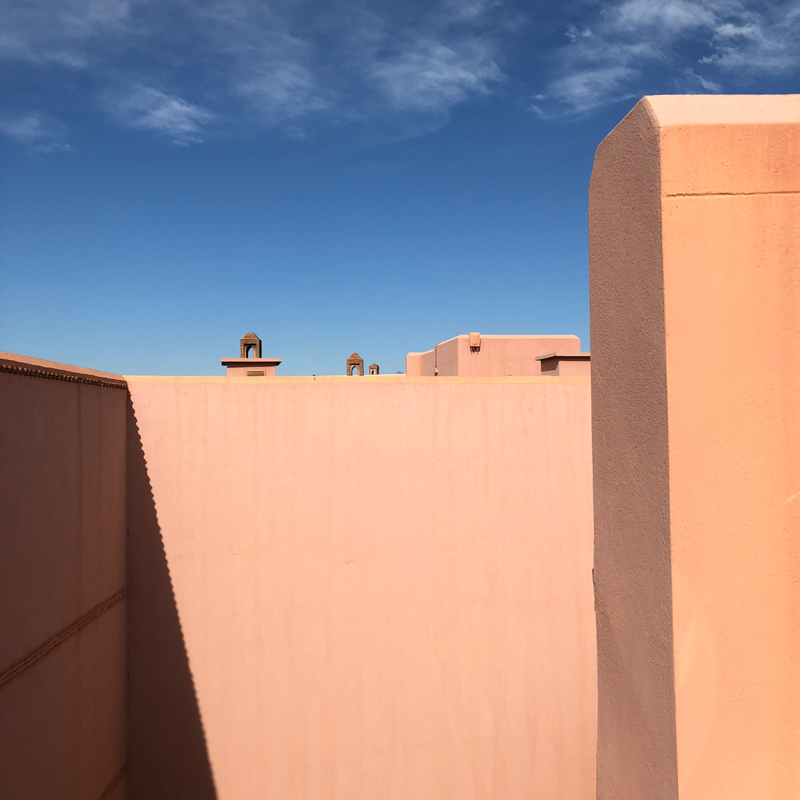 Beyond this annual frugality, Marrakech is wild. Initially, Marrakesh feels disorienting. The twisted maze of the medina can swallow you for clueless hours. Some visitors fall for its vibrant charisma at the first sight, while others need a longer consideration, but ultimately all are enchanted. I loved this North African beauty even more on my second trip this winter, and I sense that it will continue to flirt with me in the future. My Marrakech story is extremely polar. 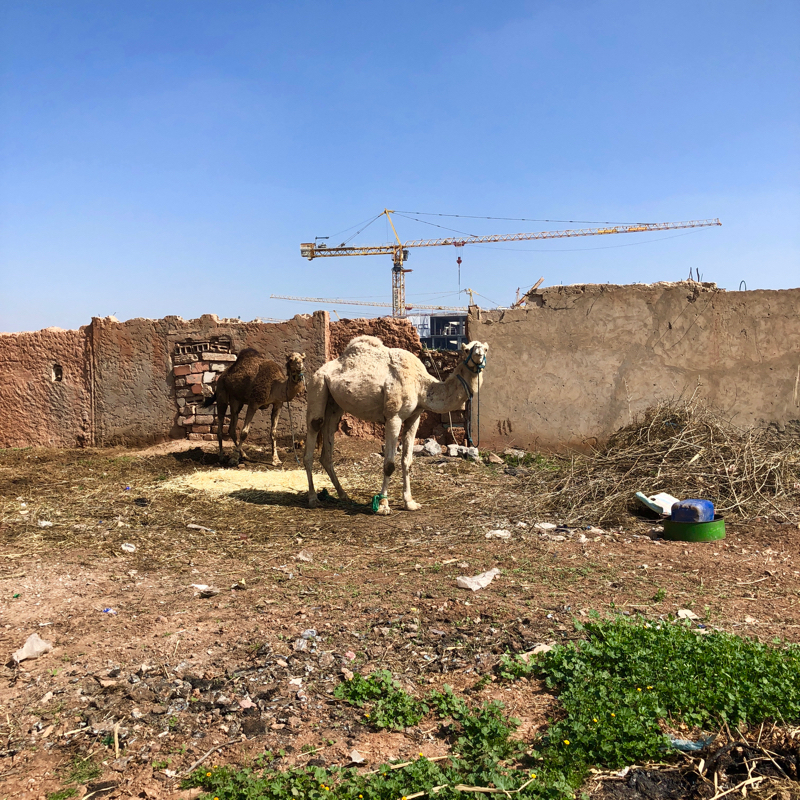 About a decade ago, I arrived at the rusty airport, took a dollar bus that spat me out to the dust and noise of Jemma el Fna and felt helpless. Not for long though. Jemma el Fna is the market square where everything happens, but widens the pupils of a spoiled European neat freak. A novel can be written about the daily plots there, inspiring creativity through its apparent wildness. 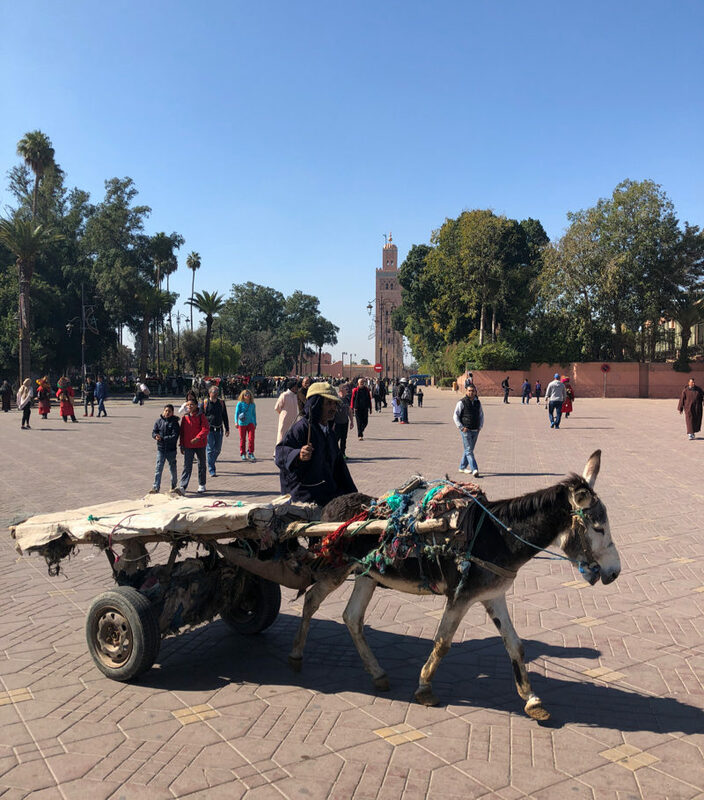 Yet, the male snake charmers, monkey daredevils, female fortune tellers and henna painters, accompanied by regulated food stalls are now controlled by the police stationed right on this pedestrian artery of Marrakechi life. Still, the locals hang out here as much us tourists. Confused like a chicken dropped into the river, I realised that most of the streets do not have any legible signposts. If there were any, they were in Arabic, and I had not taken a calligraphy class yet (recognising my shortcomings I did on my next visit). I yielded to a young lad that kept offering his help ever since I dropped myself in this mess. A nod and smile back from me sealed the deal. Soon, he was guiding me through the warren of souks, where intricate furniture, lounge divans, hand-tanned leather, by women weaved Berber carpets, brass or silver jewellery, colourful earthenware, pear with four legs shaped tea pots, embroidered cotton, silk, velvet and linen frocks, pointed babouches (think of house shoes), brass lamps, retro electronic gadgets and spices are sold after the skilful game of nerve-wracking bargaining. Now the specialist artisans are rare as the savvy merchants selling everything that goes, all under one roof, are replacing the generations honoring businesses. Crossing our paths were donkey carriages delivering supplies into the narrow, car-free passages. Moving to claustrophobic and abandoned streets, my twenty-something self followed my random guide hesitantly, but at this point I was in the hands of destiny. To my relief, a lively group of local kids joined the entourage, so we all reached my Riad el Soumia in cheer and the kids open faced hands flapping around me. I did not get what that was about, but the riad’s host puzzled it out soon by handing them some Dirham change. Hidden at the end of alleyway, I would never puzzle out the Arabic name of the street. To my surprise my adult guide just handed me his business card and made me to promise to stop at his shop. I promised, but never managed to find the place. Entering the almost invisible door I was warmly welcomed by an African woman. She offered me a pot of the traditional sweet mint tea (with Chinese green gunpowder). As I sat in the cosy purple sofa, somewhat fascinated and relieved at once, I fell deeply into the soft pillows. Staring at the exquisite tiled fireplace forgetting that I am in the middle of the noisy medina. My mind floated intuitively to the yet unexplored countryside. Such impressions create all the Moroccan mansions known as riads here. Privacy and calmness are highly significant in any busy city and Marrakech has tapped this desire for its inhabitants and visitors. 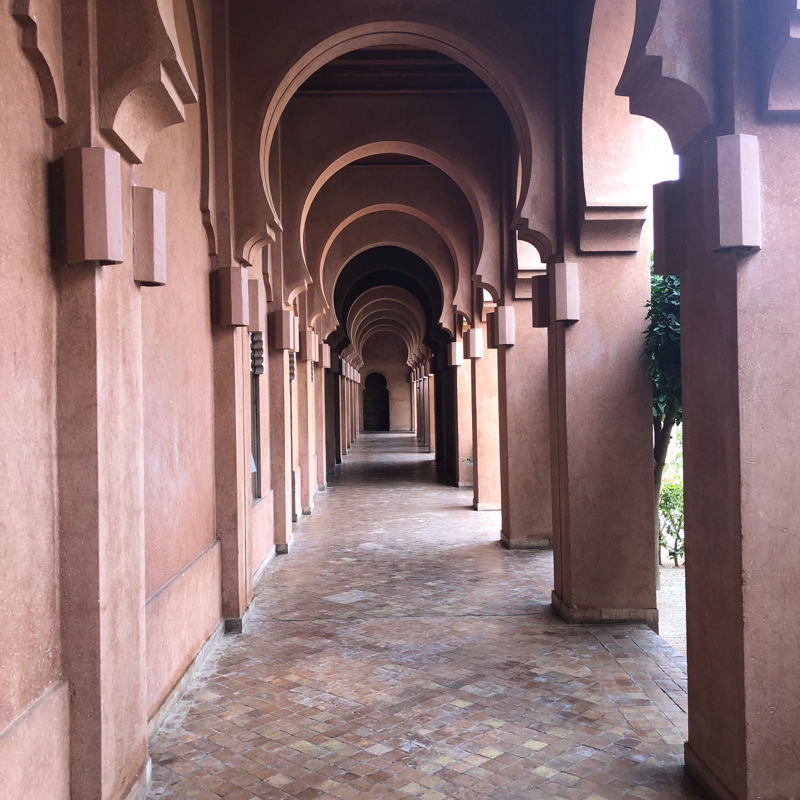 Its enclosed architecture contrasts with the open public parks, while the calm and meticulously decorated mansions provide escape from he chaos and dirt of the souks in the medina. Despite the king’s efforts to support traditional crafts, visit soon for an authentic glimpse of Marrakech. 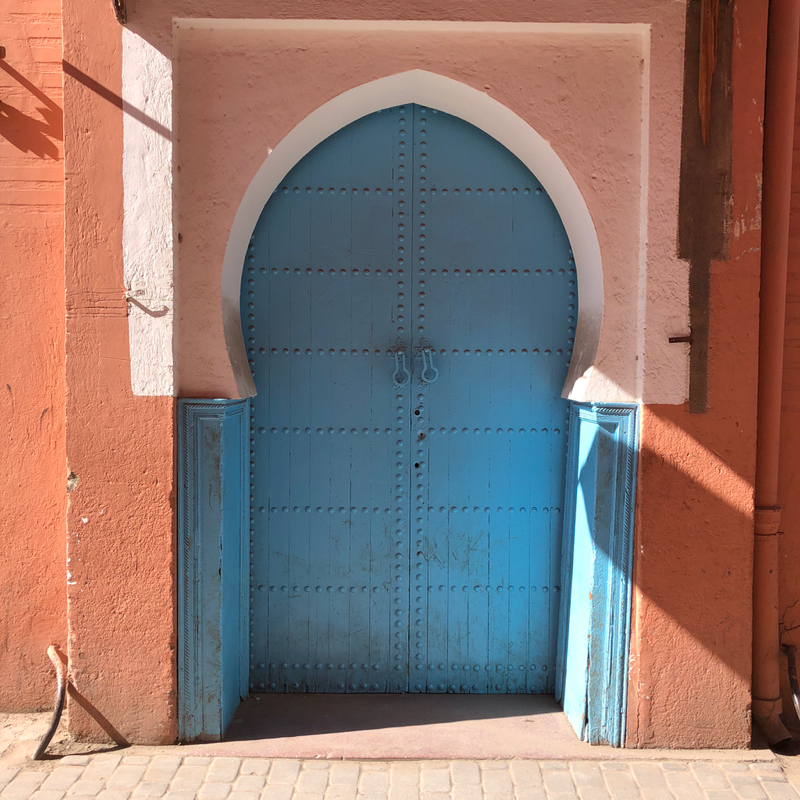 Over a decade later since my first visit, smartphones penetrated the local lives and the experience changed, but still in Marrakech the African life meets Arabic culture and the European indulgence in a liberal bohemian cosy chic laissez faire. You must visit the tanneries where natural materials are soaked in the pools of intensely coloured liquid pigment. This is one of the last places (if not the last) in Morocco where this ancient work inherited within family still happens. The “Red City” may overwhelm you with its cultural wealth. 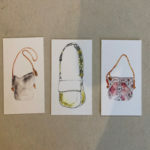 The local nuances of street camaraderie mingle with respect for hand-crafts, tradition, and the passion for collective nightlife in its intellectual pursuits of pleasure. The French also left a strong imprint on the city. 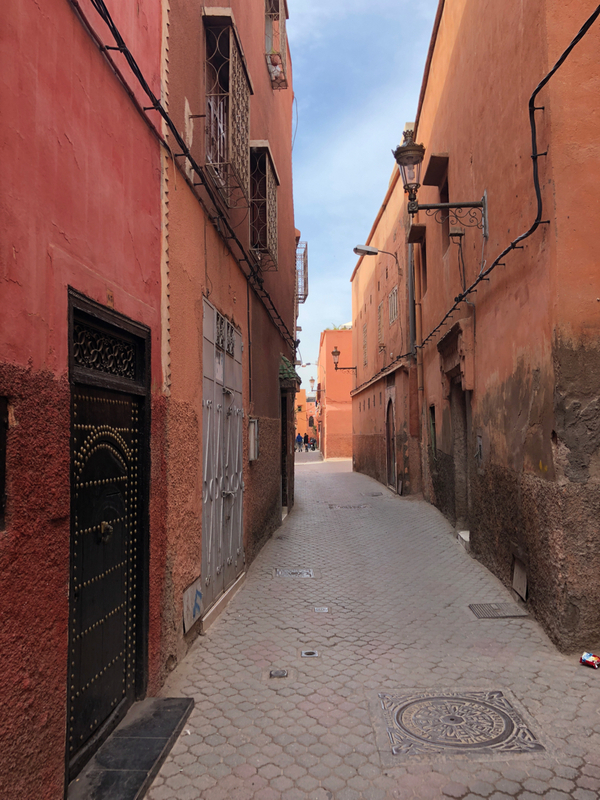 Originally the red clay in the mountains was used for the ochre-hued buildings, but once other materials entered the old town the French mandated that any wall in the medina must be painted in some shade of red. Guéliz, where most of them lived was the first neighbourhood built outside the medina (old town). Today, it houses most art galleries. Art institutions have flourished in the city recently. 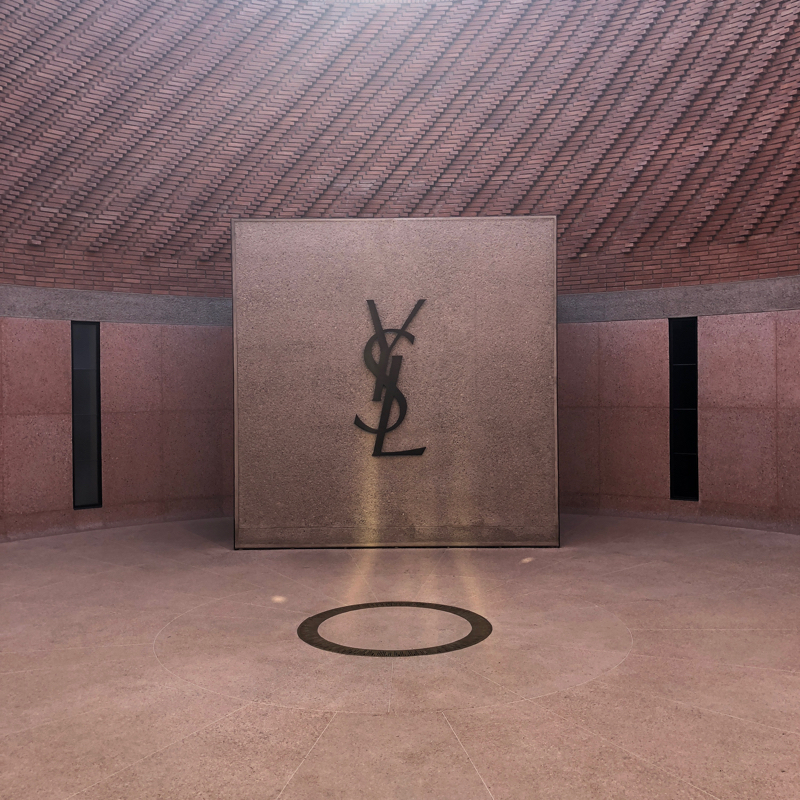 The old greats like La Maison de la Photographie (North side of the medina) and the Berber Museum inside the Guéliz Jardin Majorelle were joined by the contemporary Yves Saint-Laurent Museum that brings in the fashionably clad travellers – the Chinese. 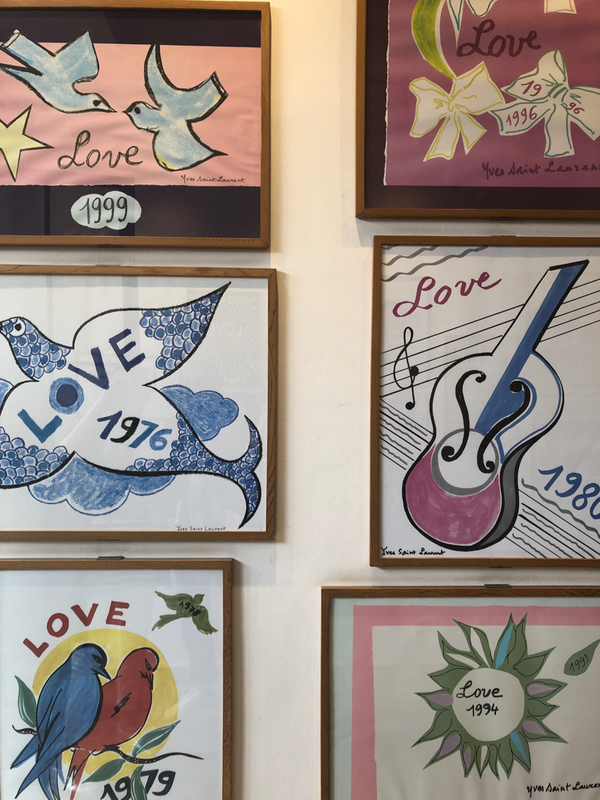 Independent, privately owned galleries like Comptoir des Mines, Matisse Gallery, MACMA and others in Guéliz exhibit creative works by local talent. 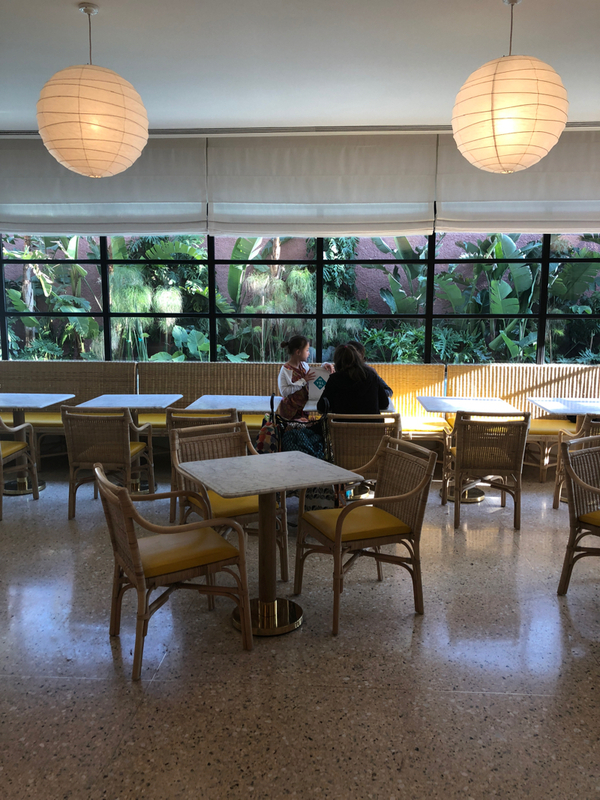 The legendary former French fashion designer Yves Saint-Laurent with his moneyed partner in business and life Pierre Bergé restored the tropical Jardin Majorelle. 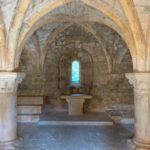 His ashes were scattered there after his death in 2008. 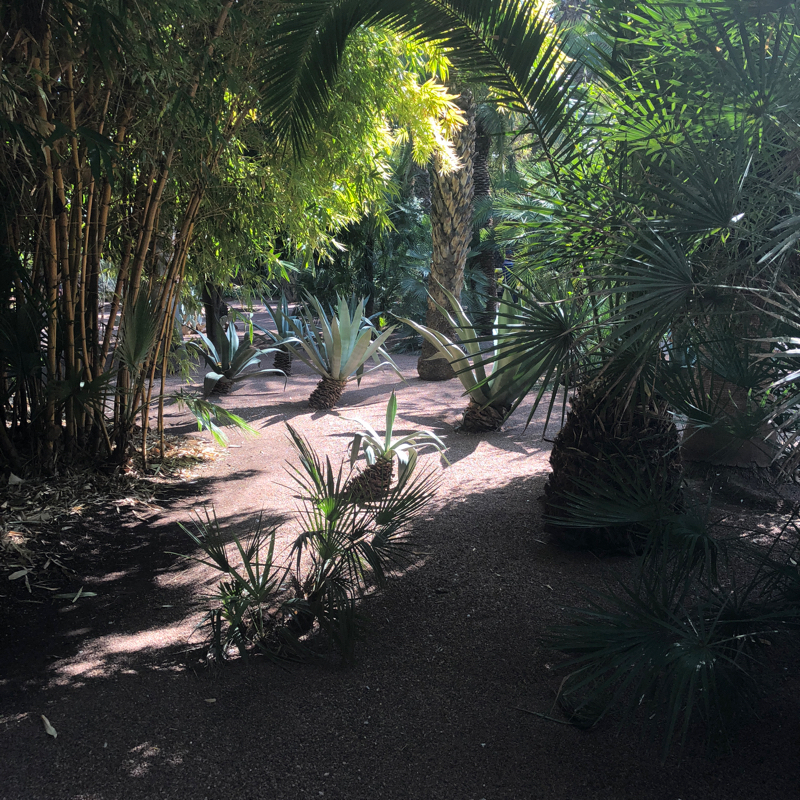 The botanical gardens shaded with bamboo tunnels and palms, with a desert blend of agave and cacti get very crowded. To skip the long waiting line have one of the top hotels sneaking you ahead. Money talks in Marrakech! New art spaces were also built outside the town. Next to the hyper-luxe Mandarin Oriental Hotel is the Museum of African Contemporary Art Al Maaden (MACAAL), considered as one of the best on the continent. 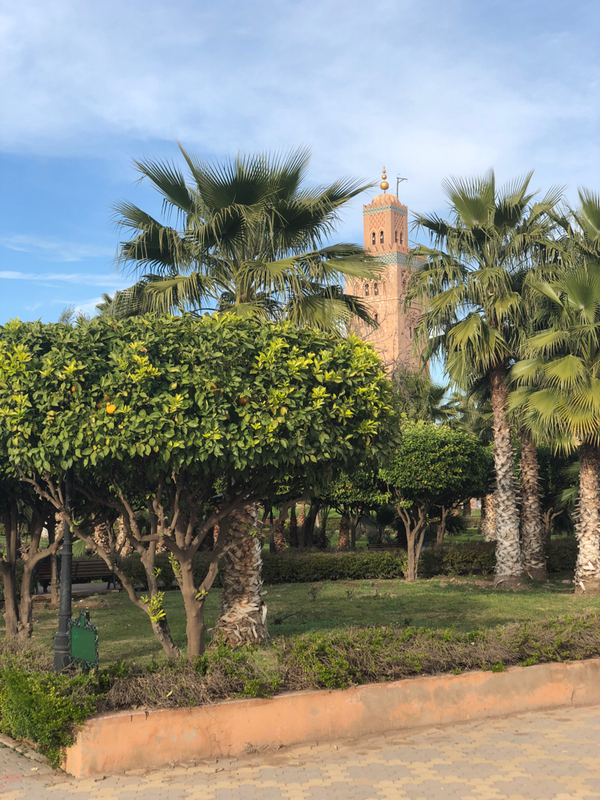 As a lighthouse saving your boat from the dreadful shoreline waves and the precarious landmass, the tallest building in the mostly low-built (two to four floors are standard) Marrakesh is practical. The minaret of the Koutoubia mosque was originally built by the clan of Almoravides in the 12th century. 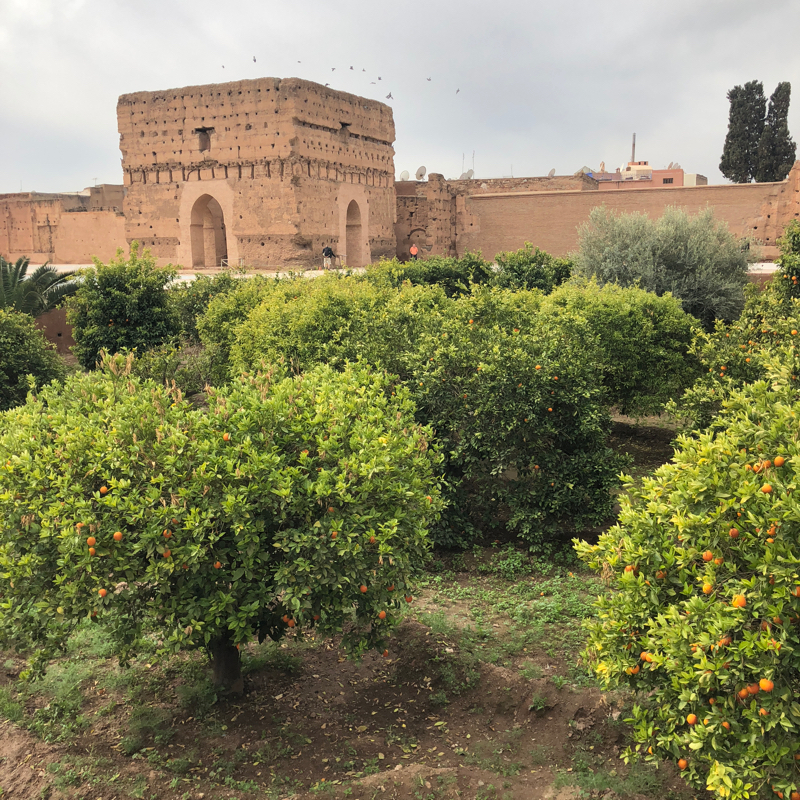 The adjoining mosque is closed for non-muslims as usually in Morocco, but the fragrant orange orchard on the side facing the King’s Royal Palace is open to all. Young lovers exchange sweet chitchats on the shaded benches nested in the orchard’s dusty floor. All public parks here have for Western standards unpolished surface, so wearing closed shoes when strolling around keeps your feet clean and safe. 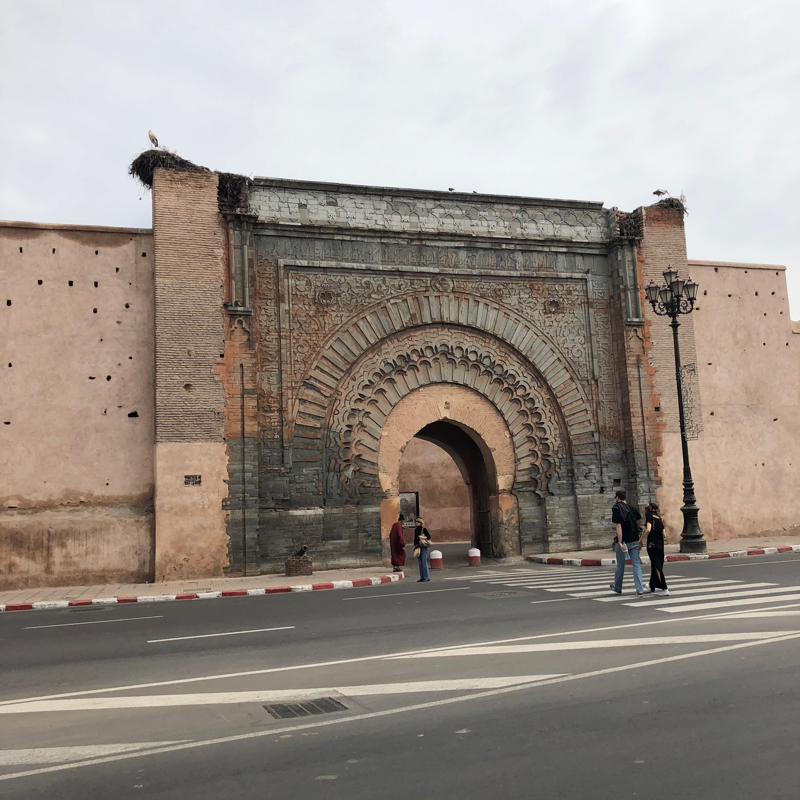 Bab Agnaou is the most famous of the nineteen gates of the walled kasbah that lead into the heart of the medina. Cranes nest on the massive walls and the palaces. 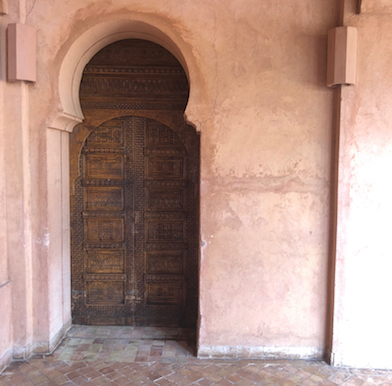 The well restored ruins of Palais Bahia and the Badi Palace are both open to the public for a fee and worth visiting. Their gardens accompany the charming sprawl of high walls, much needed for the formerly inhabiting sultans protection. While history still echoes its knots and tribal grievances, the unity of recent decades has mellowed most discords. The king of Morocco is a wise modern man fencing off the Arab Spring like disruptions so far. His father changed the title sultan to a king as a symbol of modernity but mainly to distance himself from the Ottoman past. Keeping the relationships with his Arab brothers in the East as well as engaging with the progressive world (recently closing diplomatic deals with China), the King Mohammed VI has also expanded women’s rights profoundly. For example some of the handmade in-house the carpets weaved by the Berber women are sold at “The Virtual Souk”. Warranted by his family’s lineage to the Prophet, marrying a computer engineer, no harem, but two children, the king heads a realistic development of his oil-poor country. Tourism, handcrafts, eco-activism, next to abundant natural reserves of phosphorus, feed the development of modern Morocco. 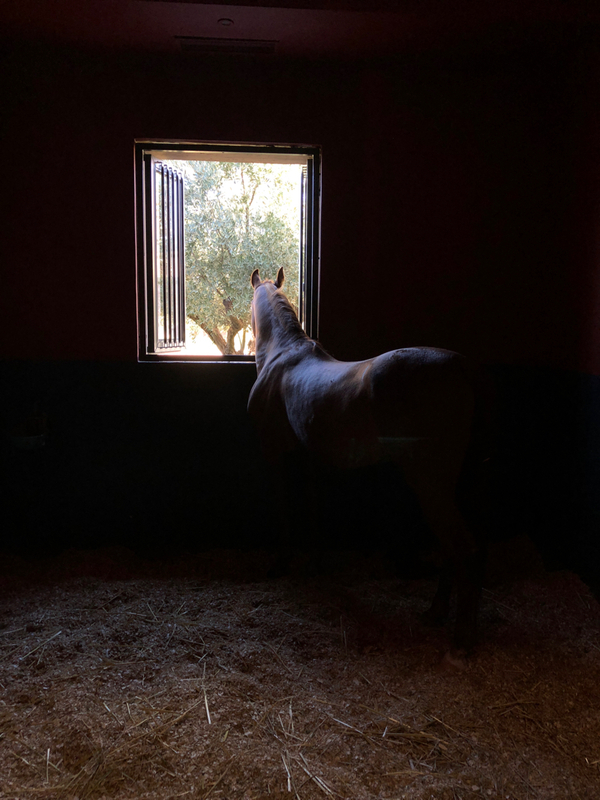 The Arabian horses were trained to compete in polo matches and racings still attract the European and Arabic aristocracy to Morocco today. My second visit was even more adrenally enticing. I bumped into two free roaming camels when running in one of the city’s most popular parks (the Menara next to the airport) and was almost hit by a motorcycle when following the green flashing man on the road crossing. 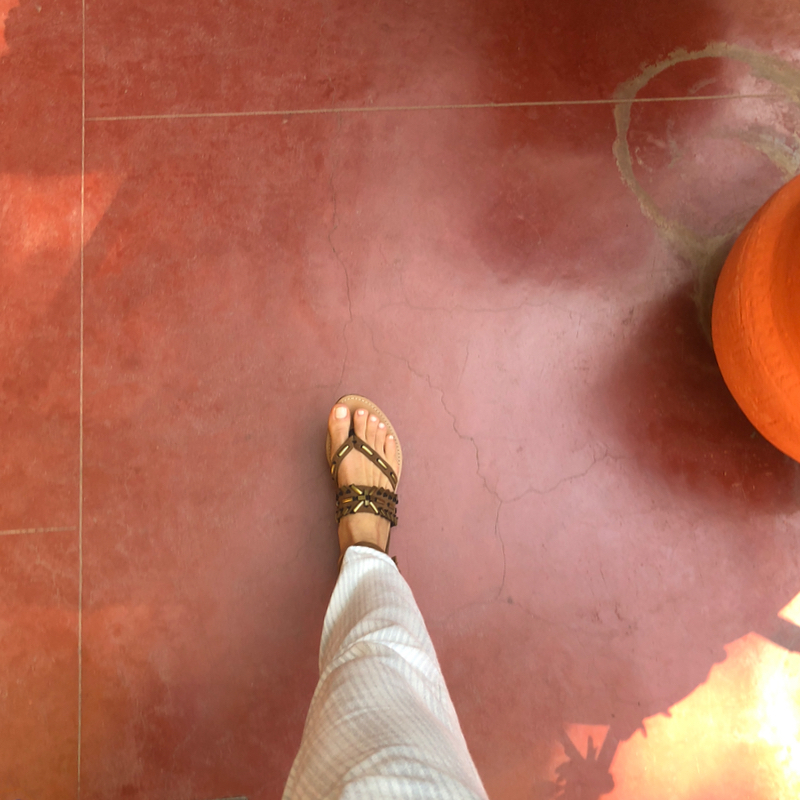 The more time I lingered around the “red city” though, the mutual discourse between the East and the West unleashed itself in a fascinating bloom. I fell for Marrakech and my affection grew by day. The solar-powered airport was new too. The most international Moroccan city is an oasis of dichotomy, but unlike the drugs-fuelled bohemia of Tangier past World War II. the firm grip of policing makes it safe. The long lines in front of the new airport though point at inefficiency. Arrive well ahead of your flight and do not buy anything inside, since the airport shopping is ridiculously overpriced (double squared!). 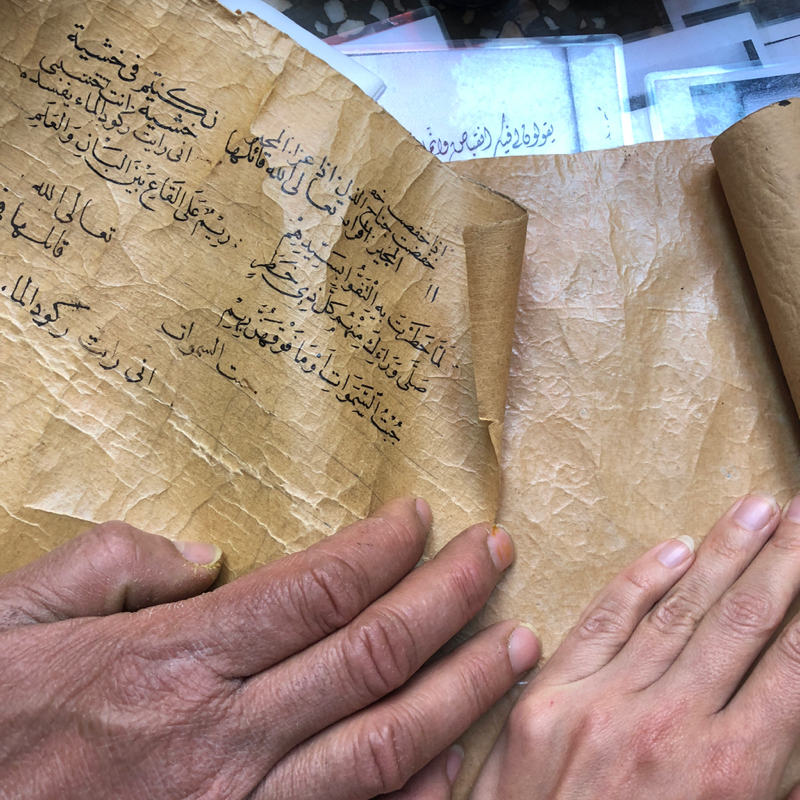 Centuries past, the Westernmost Muslim country was the intersection of cultures, ideas, religions, scholarship and trade that imprinted the characteristic open diversity on Morocco. 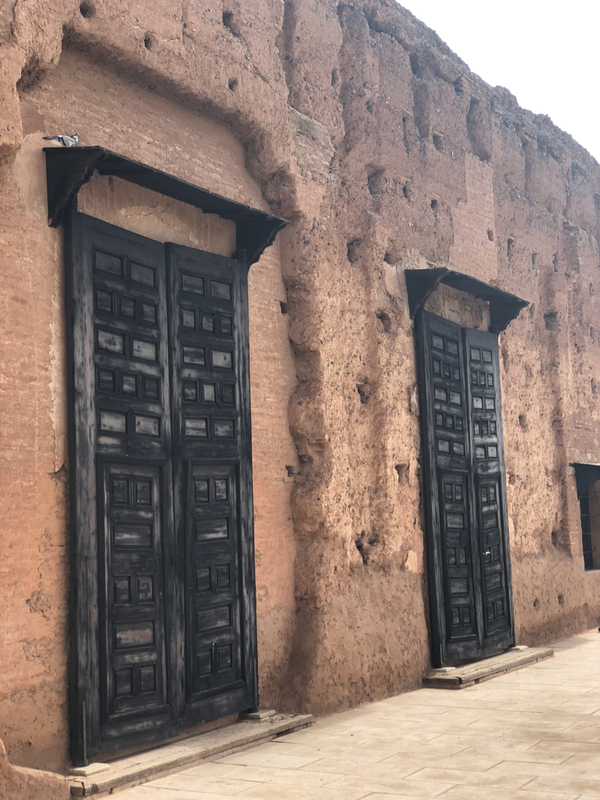 The struggles during the 20th century swallowed most of the remaining Islamic rigidity accommodating the vices of international residents and visitors in Marrakech. Non-muslims still cannot enter most of the mosques, but the locals are otherwise relaxed about their faith and happily indulge in alcoholic beverages while clubbing at the local trendy night spots. Marrakech also hosts a plethora of international events like a rally of French students cruising around Moroccan schools while donating much needed supplies. The future of car racing, the Formula E (Electric) whizzes in sports car enthusiasts. 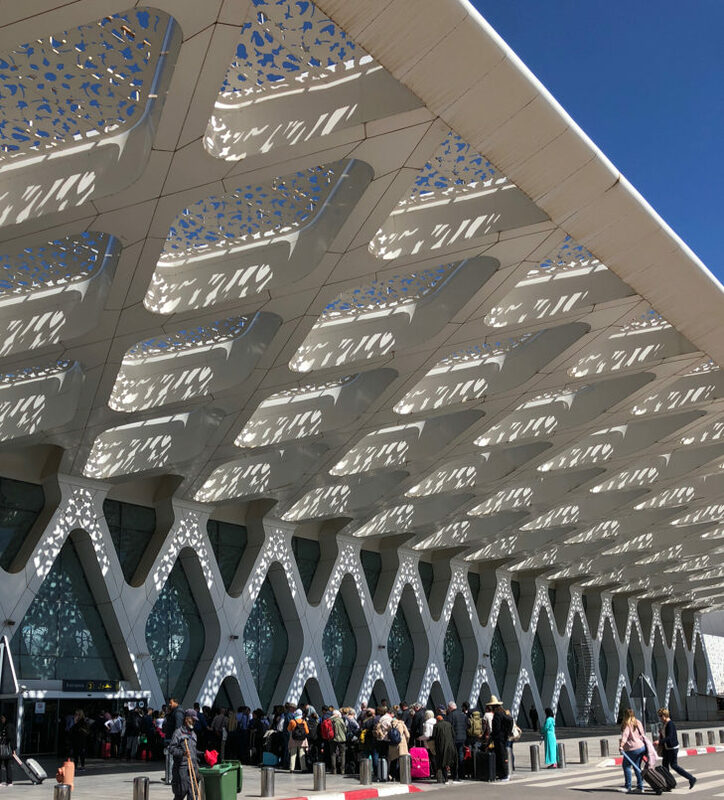 Art shows like recently the 1-54 Contemporary African Art Fair and the Biennale Marrakech lure in the international creative jet-set. Frequent horse races invite in royalty, while the Ultra Trail Atlas Toubkal pulls in the fit travellers. Astronomy Festival, International Air Show, Film Festival, Literary Prize, the list goes on. Come any time of the year and something is happening. I took a lesson in Islamic calligraphy from the local master at Café Clock. It was as culturally insightful as a test of my and my instructor’s patience. 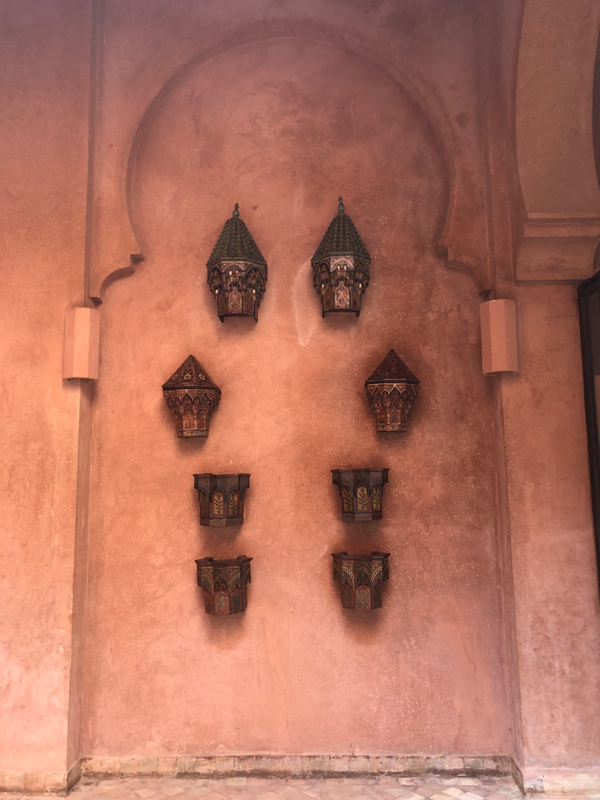 In the casual open air patio of the café also learn to play oud, cooking and the Moroccan tradition of storytelling – hikayat, dating back almost a millennium. 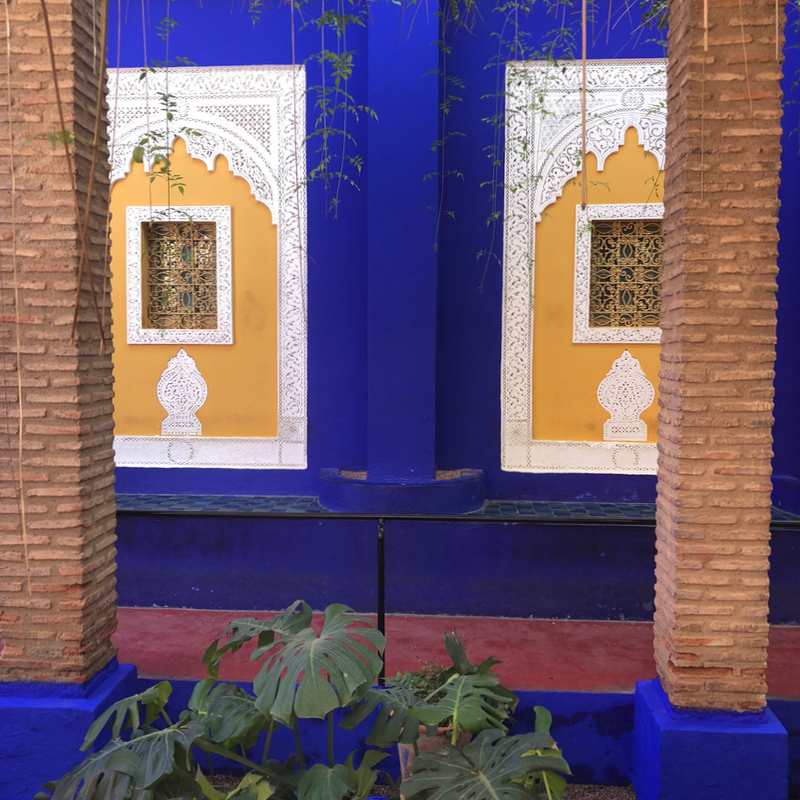 The authentically restored 16th century Dar Cherifa Riad supports local crafts (also cuisine and pottery workshops) and organises cultural events regularly at its literary café. Practice horse riding and dressage at the luxurious Selman hotel that has a stable of Arabian racing horses. If Moroccan cuisine fascinates you, then Maison Arabe has reputed cooking school set in a superbly equipped kitchen. Recently the culinary lessons have been popping around like popcorn in microwave, but go with the established ones. A polite cultural tip at the end. 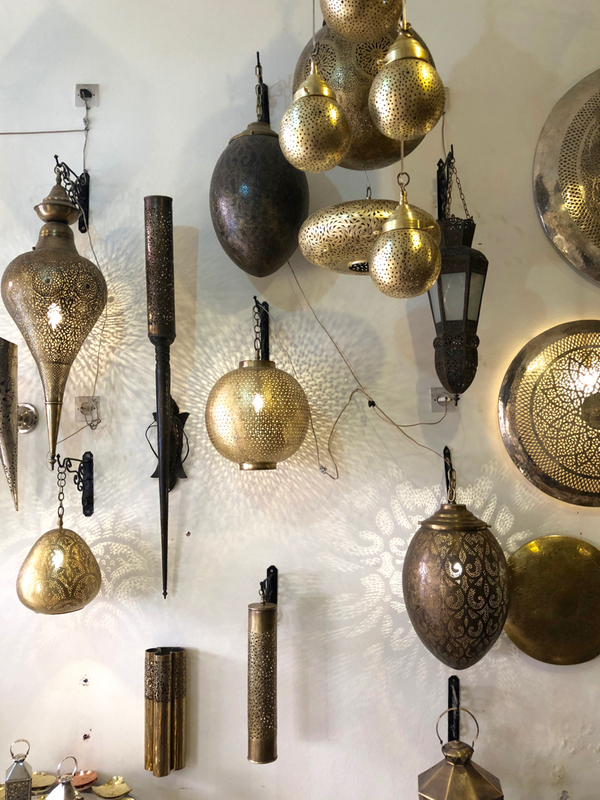 As much as bargaining is a must when shopping in the souks, bakshish, a small tip for services such as navigating you through the maze of the medina should be paid. Still in the smart phone age when we can access interactive maps, the ultra-narrow rues of Marrakesh are hard to grasp by the satellites. You will get lost, count on it! If you wonder where to STAY and SHOP read my Lifestyle feature of Marrakech. 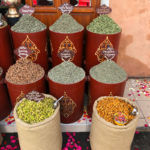 Moroccan cuisine and gourmet pursuits .